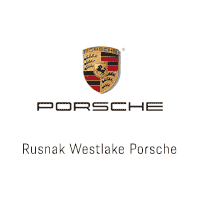 As a member of the Rusnak Auto Group that’s been specializing in performance and luxury car sales for more than 50 years, you know you’ll be experiencing a high level of expertise and trusted advice as you search through our new Porsche here in the Los Angeles area. Beyond the brand new Porsche we offer including the 718, 911, Cayenne, Cayman, Macan or Panamera we have stock, we also have plenty of certified pre-owned Porsche for you to consider. In fact, we have one of the largest certified pre-owned lineups and are proud to be known as the #1 Certified Pre-owned Porsche dealers in the Western United States. In addition to our CPO Porsche, we also have a variety of other quality luxury pre-owned vehicles and Executive demo inventory, so you certainly have plenty of options. Beyond the great selections of vehicles we have here, there’s plenty more to love about the shopping experience since we specialize in models that are more than $100,000. This means we’re meticulous in taking care of our inventory, and what you’ll find will reflect its value. We’ll be sure to go over your Porsche lease and loan options so you can get the best deal for your budget. Furthermore, we ship our models all over the country using only the best delivery carriers to bring your car to you with white glove service. We also work with DMVs and notaries from all over the place so that your registration and paperwork will be well taken care of. Professional, courteous, and timely with great customer communication.